A bicycle trail has been created that connects nine Litchfield County communities along the Housatonic River. 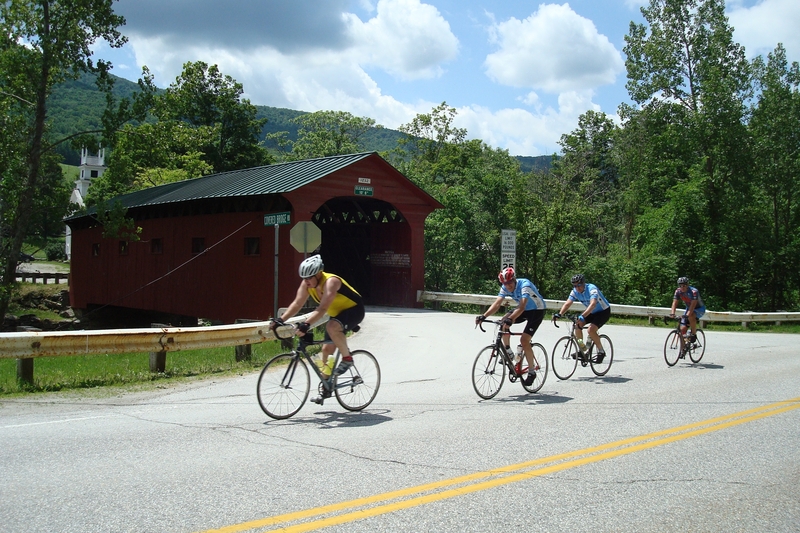 The HouBike Trail – Housatonic Covered Bridge Bike Trail uses riverside roads that parallel the Housatonic, and typically have little traffic. Relative to the rest of the area, the river roads have very few hills, making for a more enjoyable ride. The “HouBike” Trail is approximately 45 miles long, and runs from Ashley Falls, MA to New Milford, CT.
Nine towns are included in the route, including Salisbury, North Canaan, Canaan, Sharon, West Cornwall, Cornwall, Warren, Kent, Sherman and New Milford. Numerous side routes are also available (see the routes here) so that the main route connects to village centers and other heritage sites throughout the region. The Trail also connects an impressive list of local attractions, including: Bartholomew’s Cobble, the Great Falls in Falls Village, Dean Ravine and the Covered Bridge in Cornwall, Kent Falls State Park, the Sloane – Stanley Museum / Connecticut Antique Machinery Association, the ledges at the Schaghticoke Indian Reservation, Bulls Bridge and its gorge, and Sega Meadows in New Milford.